Roger W. Japp, 68, of Sterling passed away Feb. 6, 2019 at his home in Sterling. A private family service will be held at a later date, with private inurnment at Riverside Cemetery. Roger was born July 15, 1950 in Sterling, CO to Leonard and Eleanor (Barnts) Japp. He attended Sterling High School and then Colorado Law Enforcement Training Academy. He retired from the Sterling Police Department after 28 years of service, and also worked at the Logan County Sheriff’s office for 15 Years. Roger married Gayle Campbell on Dec. 27, 1969, they enjoyed 49 years of marriage. Roger loved spending time with his children and grandchildren. He also enjoyed hunting, fishing, and camping. He is survived by his wife Gayle Japp, of Sterling; children Roger Japp II (Steven) of Commerce City, CO, Jeff Japp (Connie), of Sterling; siblings Nyla Japp (Joan) of Phoenix, AZ, Melvin Japp (Cindy) of Guernsey, WY; step-brother Randy Moll, 5 grandchildren, and several nieces, nephews, close cousins, and valued friends. Roger is preceded in death by his mother Eleanor Moll, father Leonard Japp, brother Richard Japp, step-brothers Craig Moll and Steve Moll. 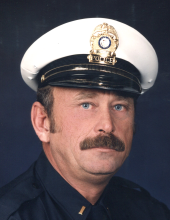 Memorials in Roger’s name may be made to Hospice of the Plains, or The Colorado Police Protective Association, care of Tennant Funeral Home, PO Box 1547, Sterling, CO 80751. To send flowers or a remembrance gift to the family of Roger W. Japp, please visit our Tribute Store. "Email Address" would like to share the life celebration of Roger W. Japp. Click on the "link" to go to share a favorite memory or leave a condolence message for the family.